Hello Everyone! We have a super fun release for you this week at My Whimsical Little World. This is Walking In Winter Wonderland isn't she precious. I Copic colored Her and fussy cut the image out. Then I popped up the image on the backround. The stitched banner and sentiment is from My Creative Time. Thank you so much for looking and head over to the My Whimsical Little World Blog to see the other DT's creations with these cute new Digi's. 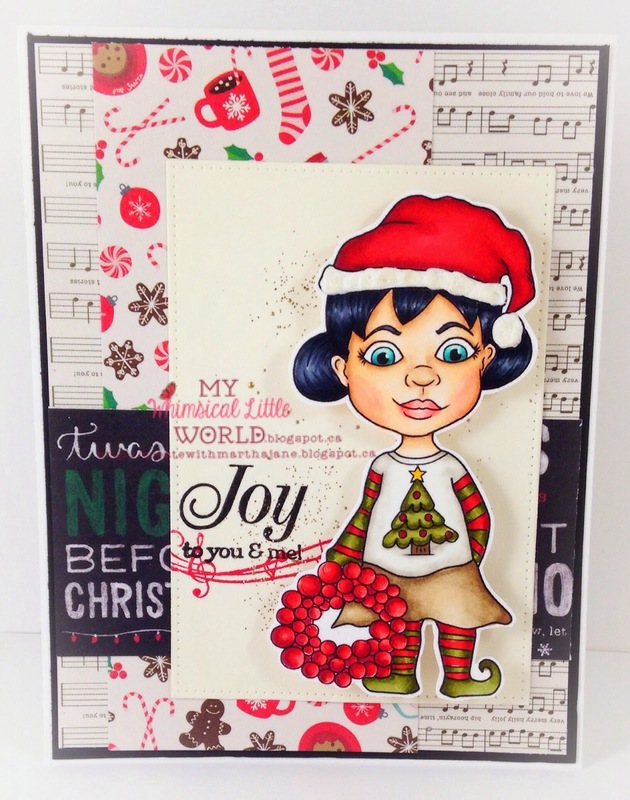 Merry Christmas is also copic colored and die cut with a MFT pierced rectangle die. The Sentiment is convientaly built right into the digi! It Would be so easy to mass produce your Christmas cards with cutie! head on over to the My Whimsical Little World Facebook Page we all ways have lots of fun and inspiration going on there.